Many illnesses have symptoms that are physically identifiable, and health professionals can visually observe their progression. However, just as many illnesses do not manifest outwardly. Some may not affect the body in the same way as more common diagnoses, but deeply alter the mind. Too often, signs and symptoms of mental illness are missed in children and adolescents, chalked up to a “quirk” or “bid for attention” when urgent, competent care is needed. We know this too well. At the Law Offices of Skip Simpson, we deal with tragic cases of death by suicide that have many different causes, but have one thing in common: these deaths are preventable with proper awareness and treatment. Mental illness still carries a heavy stigma in the United States. Taking sick days to care for a mental condition like depression or severe anxiety is a concept still misunderstood and underutilized by employers and employees alike. The idea that the adult mind can simply “get over” or “work through” problems is pervasive, and those toxic ideas pass on to our most vulnerable population: our youth. In Long Island this year, a mother lost sight of her son. He was trapped in the throes of two devastating mental (and often comorbid) illnesses: an eating disorder and depression. Barely a teenager at 13, Liam used to enjoy playing soccer and looked forward to beginning high school. However, as his mother noted in a moving Facebook post, he began to waste away mentally and physically. He was withdrawn, and had stopped eating. For the longest time, he was silent about his troubles until, finally, his parents learned the cause: bullying on a daily basis. Admitted to a hospital where treatment for his eating disorder and depression, Liam had already lost a year of his life he will never be able to get back, and was at extreme risk for suicide. Nearly 43,000 Americans die by suicide annually, making it the 10th leading cause of the death in the entire country. While we scramble for answers – who was responsible for these deaths – we often overlook the what. Liam, like many children, was suffering from mental illnesses exacerbated by bullying. Up to 30 million people suffer from eating disorders. Too often regarded as a problem with vanity, or a passing phase, the reality is that an eating disorder is a mental illness with a direct, potentially deadly effect on the body. Many sufferers have been barely surviving with carefully concealed bloated cheeks, cracked lips and sunken abdomens since childhood, and the road to recovery can last a lifetime. Bulimia Nervosa – characterized by a binge and purge cycle in which the sufferer consumes an irrationally large amount of food, then purges via forced vomiting. These episodes are often triggered by feelings of malcontent, self-hatred, or stress. Anorexia Nervosa – A restrictive type of eating disorder in which the sufferer seeks negative caloric intake and positive output. Though not strictly attributed to just this disorder, over-exercising and fasting as well as fad diets are common. Orthorexia – An unhealthy, disordered type of relationship with food and diets comprised of obsessive dieting and exercising. The sufferer may appear to be a “health nut” while actually struggling with a serious mental illness. BED – Stands for “binge eating disorder,” which is characterized by periods of compulsive overeating far beyond feeling full. Unlike bulimia nervosa, there are no (or very few) instances of purging as part of the cycle. EDNOS – “Eating disorder not otherwise specified”. This is often used for people who miss the mark on Anorexia Nervosa’s current weight requirement-usually a BMI below 17.5 in adults, or less than 85% of what is considered normal for the patients’ body. Mixed symptoms and behaviors are present that do not fall into any one category. Anorexia nervosa carries the highest mortality rate of any mental illness, partially due to the physical damage to the body, and partially due to the damage to the mind. Deprived of nutrients and turning to itself for energy, the body will cannibalize its own muscle in order to survive. This often affects the heart, which may lead to sudden cardiac arrest. The brain suffers as well, losing the ability to think clearly, remember, or regulate emotions and personality traits. These effects on a child’s still developing brain are devastating. Those with anorexia nervosa are 56 times more likely to die by suicide than those without. Eating disorders can easily exacerbate any existing mental health problems, or cause depression in a stressed and nutrient-deprived brain. In such an extreme state, suicide commonly comes to the mind of a sufferer lost in the disease. Younger females with AN are 12 times more likely to die than their ED-free peers, and bulimia nervosa carries with it the risk of cardiac arrest from so much repetitive stress on the body. Children who develop eating disorders are often the products of bullying, overbearing families, and neglect. Emotional and physical trauma in early childhood can easily lead to a feeling of emptiness and obsession with consuming emotions, often comorbid with Post Traumatic Stress Disorder. An eating disorder in a child can be seen as a symptom of an underlying problem, but not many people are trained in recognizing the warning signs that need to be addressed in order to treat it. Suicide is on the rise for children. In teen boys, our country saw a 30% increase in suicide rates between 2007 and 2015. A study done in 2016 showed that suicide can strike children as young as 5. Among older children, depression was the most common present disorder. Males saw a particular climb, and these numbers should prompt a discussion on why mental health care is not advocated for or spoken about as much as it should be. How can we fix this, and stop this deadly epidemic? The answer lies in discussion, as well as immediate action. Schools should advertise counseling services, doctors should pay close attention to symptoms of mental illness, and our children should grow up knowing that emotions are not a taboo. Eating disorders can be hard to spot in children. Like most mental health issues, they are frequently dismissed. Someone’s son is a picky eater, he’s sensitive, or he’s “being difficult.” Teachers and even healthcare professionals are not always properly trained to identify and treat eating disorders. In many eating disorder inpatient wards, children aren’t even allowed to enter as visitors – so where do they go as patients? Bodies and minds can fail as a consequence of the development of eating disorders. With proper treatment, 60% of sufferers can make a full recovery. Without it, 20% and counting will die from medical complications, including suicide. Inpatient and outpatient programs must be ready to accept children, and communities must be held accountable for prevention. If a child is neglected by a healthcare provider, dismissed by a school counselor or misunderstood by a teacher they confide in, it could cost them their life. Treatment is multi-dimensional. A patient has to receive proper medical and mental help, as well as re-learn a basic life skill lost: how to eat again. Bullying is an all-too-common denominator in the development of pre-pubescent and adolescent children, and it’s often body-based. The word “fat” becomes synonymous with “worthless,” “stupid,” and other negative terms that the child will internalize. The more their disorder manifests, with every meal they skip or exercise they overdo, the further their minds can spiral into devastating isolation. 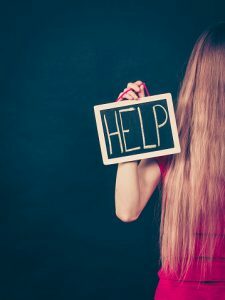 Neglecting proper education on eating disorders and related mental illnesses means few healthcare providers know what to do when a child is in pain, and fewer counselors know who to refer them to. A sudden obsession with food – its caloric value, nutritional data and any information on the topic becomes both repulsive and fascinating. Disturbed eating habits such as eating in secret, excessive chewing (or chewing and spitting), cutting food into tiny bites and taking excessive amounts of time to finish a meal. Intense fear of becoming overweight, which can have an incredibly fluid definition to the child. Perfectionism, which often develops in children enrolled in demanding sports or academic programs that involve a high stress and competitive atmosphere. Reporting problems at school or home. Bullying especially is a large contributor to deteriorating mental health, and can lead to the eventual development of an eating disorder and/or depression. Intervention is crucial. A child is a work in progress, and an eating disorder is a mental health condition that must be addressed, along with any comorbid conditions. Pediatric depression and trauma issues are serious. They can follow into adulthood if not treated correctly and promptly – or the child may not make it to adulthood at all. At the Law Offices of Skip Simpson, we know that our youth need to be cherished and cared for, not to waste away or be taken by preventable suicide. We are dedicated to bringing justice to the void neglect has left. Contact us today. This entry was posted on Thursday, November 30th, 2017 at 7:43 pm and is filed under Suicide Risk. You can follow any responses to this entry through the RSS 2.0 feed. You can leave a response, or trackback from your own site.